At times some words or phrases or idioms, more particularly those maliciously spoken to demean a nations pride get badly stuck up in one’s mind. Like witches, they haunt even in the bed. These cannot be jettisoned from the mind unless talked about boldly and candidly. For couple of days,an idiom ‘barking up the wrong tree’ has been bothering my mind.It had a resonated at a meet of ambassadors of various countries stationed in New Delhi.More than half of the diplomatic Corp stationed in the capital attended the meet organized by the PHD Chamber of Commerce and Industry. Ostensibly, the meet titled, ‘Kashmir: The Way Forward’ had been organized for promotion of tourism and attracting investment.There is a history; New Delhi from 1948 has been sending “mainstream politicians” of Jammu and Kashmir for lobbying to various world capitals, to New York or Geneva. Sending them to Geneva during the Human Rights Council sessions has been almost regular feature for past twenty five years. In 1993, when Pakistan had moved a resolution in the UN Human Right Commission against the ‘human rights violations’ in Jammu and Kashmir- the year that is known for operation ‘catch and kill.’ The “mainstream” politicians of the state then in wilderness in London and Delhi had jumped over the queue to see the resolutions defeated. Nonetheless, in the recent history it was the biggest diplomatic exercises regarding Kashmir in New Delhi- and of course, the first one organized by the state government. The message sent at the ambassador’s conference was that everything in the Jammu and Kashmir is hunky dory – the state described by top global leadership as ‘most dangerous place in the world and a nuclear flashpoint in South Asia. In a state that has been on itinerary of diplomats for past seventy years, it is a child’s knowledge that the job of the diplomats in the host country is safeguarding interests of their countries in the capital. Moreover, keeping a tag on developments in the troubled spots and disputes with the neighboring countries – mostly those bordering Jammu and Kashmir- China, Pakistan,and Afghanistan. The visits of diplomats from most important countries and European Union tostatefor updating their countries about the situation in the state is almost a regular feature. The feedbacks by the embassies help their countries in framing polices towards the host country and the region. To comment on the decision of his removal is not my cup of tea. I am not right person to debate or discuss if there was much more than what meets the eye in sacking of the minister.If it was result of inter and intra-specific struggle within the party. Or as Syed Mir Qasim, once said, ‘when Government of India feels that its horse in the racecourse of the state is fatigued, it pushes a different stallion into the ground.’ I don’t know if New Delhi saw him as its the new stallion.’ Like Tamburlaine in Marlow’s drama of same name New Delhi has been whipping those holding gubernatorial positions in Jammu and Kashmir and telling them, “Holla, ye pampered jades of Asia! /what, can ye draw but twenty miles a-day.” In fact, whipping and asking ‘mainstream’ politicians to do more for integrating the state into Indian in violations of conditional “instrument of accession” has been New Delhi main policy plank in the state. 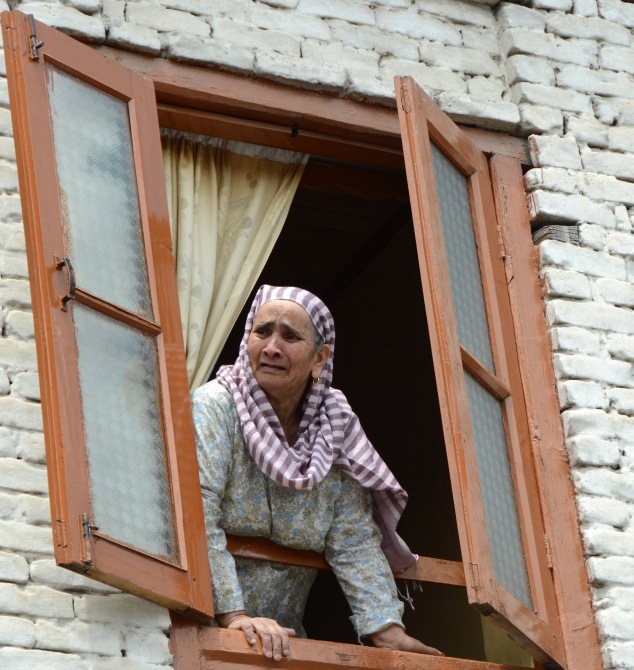 The idiom, by all stretch of imagination, was used not only to delegitimize historicity or historical authenticity of internationally recognized Kashmir Dispute or problem but to denigrate the political struggle of people of the state- an agonizing story of incarcerations and huge sacrifices. The damage done at the ambassadors meet can be appropriately understoodbyknowingmeaning of the word ‘bark’ and etymology of the idiom. Webster’s II dictionary explains the word ‘bark’ as; “The harsh, abrupt sound made by a dog.” The Oxford dictionary explains the word as; “The sharp explosive cry of a dog, fox, or seal.” “The origin of the idiom ‘barking up the wrong tree’ dates back to early nineteenth centuryAmerica when hunting with packs of dogs was very popular. The term was used literally at first, when wily prey animals such as raccoons would trick dogs into believing they were up a certain tree when in fact they had escaped.” The idiom has been in use for two hundred years- it simply means pursuing an illusive goal. Or as the Collin’s dictionary explains, ‘it mean that they are following the wrong course of action because their beliefs or ideas about something are incorrect.” The idiom used by the former PDP finance minister for describing the seventy years political struggle of people Jammu and Kashmir is insulting, humiliating and demeaning. The statement made by the Minister may be in synchronization with the hard hitting statement made by RSS Chief on Thursday (15 March) that the “Kashmir problem should not be viewed as a problem.” (See GK for details 17-3-2018). But, the ‘proclamation’ made by the former minister from the pedestal of hubris, far that matter by any one else cannot demolish the cherished narrative of people of the state and delegitimize their struggle for getting their fundamental right, guaranteed by the United Nations Security Council and agreed upon by India and Pakistan.